Thank Your Customers With Winter Essentials: Be ready this winter with our advertising winter essentials, because in case n case you haven’t tuned in to the weather channel yet, they have predicted a snowy colder winter this season for everyone in 2012-2013! So consider thanking your customers with a end of the year giveaway from your business. 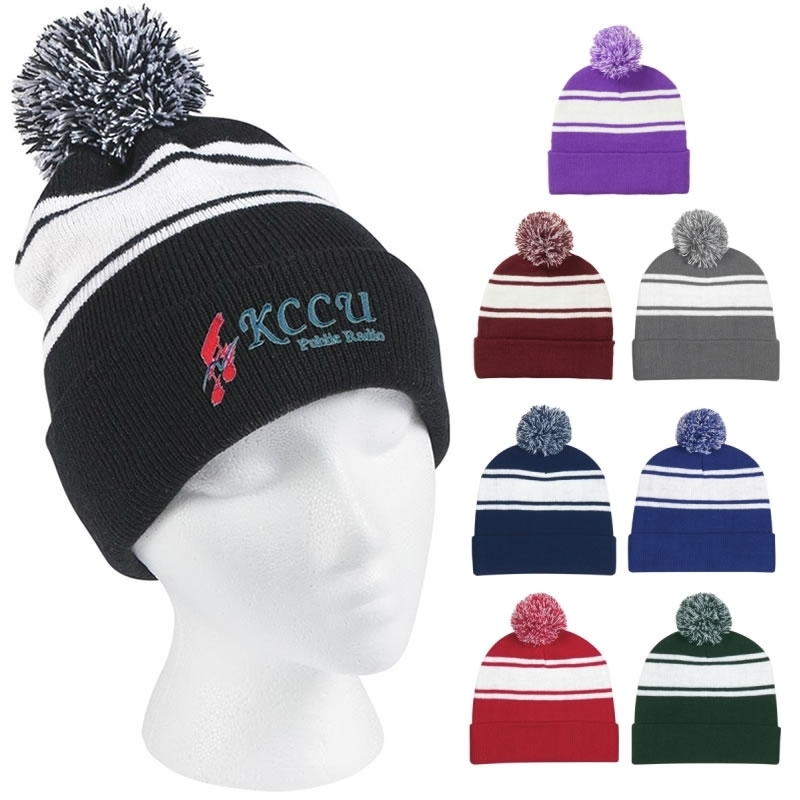 They’ll love promotional winter giveaways with your company logo, like our custom beanie caps. These will be a perfect idea for Retail Stores, Convenient Stores, and Car Dealerships! This becomes a slower time of year for some, so offer a FREE winter giveaway with just a small purchase. You could even offer these for advertising employee gifts, they sure could use them too! They won’t be stranded in the cold if there car decides to break down or they get stuck in the snow! Because these great promotional products shown are some of the most needed when the temperatures drop! Probably the most popular are promotional ice scrapers they will for sure get the ice and snow off quick! Having tire trouble and need to pullover and check the tire pressure? You’ll have your Promotional Tire Gauge right in the glove box! And if your car decides to get sick on you one day don’t forget to have one of our Awesome Bright Imprinted Flashlights to look under the hood. Here at The Executive Advertising we have a lot of great winter products to get you through the winter! And maybe the one we don’t always think to keep in the car when it gets cold out and the snow is falling, the Customized Travel Fleece Blanket Folds up with zipper pouch, this would be such a nice gesture to your customers this winter season. All these products are going to be such a huge helper for the colder months ahead. It’s time to get prepared & get your logo added for FREE to winter giveaways! Comments Off on The Power Of Our Custom Pink Products Are Ready! 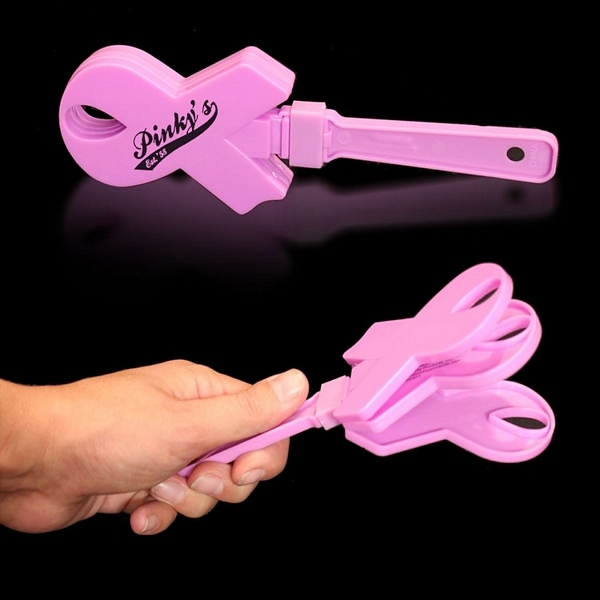 Get Your Branded Pink Products Ready: No time to wait,ordering supportive advertising products is now! Bring out the support and order pink promo products from The Executive Advertising for Breast Cancer Awareness Month for the month of October! One of the most important times to get your brand involved is coming in October and that’s not far away! We just wanted to write this friendly reminder so no one would be without the products they need for this important month of awareness! Please call or email us first to check stock on the items you’re interested in. Everyone gains something by getting in on this cause. For Example, resell imprinted awareness products at charity campaigns, walks or auctions held at your company. Goal: Raise money for the cause and gain new customers. Handout out freebies with your advertising logo just by someone making a donation and once again your name will always be out there! We do see tons of pink around during this time, but we can get even more out there with the help of large companies and the people of all the surrounding communities. So it’s time to think pink for your brand! People will remember your company for being the social one that loves to help out for those that need support. For, it’s the people that help these situations when speaking out, advertising the cause and raising money. And so pink products customized from The Executive Advertising will help you with your important message and get through to everyone. Because we know you want to make a difference in someone’s life and having pink products with a special message can do that! Doctor Advertising: One of The Most Seen Logos Around! One of the most important professions is being a doctor and having promotional medical promos to advertise your doctor name. The important job is to promote good health and keep everyone healthy. You can do this by handing out reminders of health promos from The Executive Advertising! And these are some things you might see around a doctor’s office or hospital that are very useful to a doctor on a daily basis. You might notice they keep some of them in front pocket of their doctor jacket. From a nice promotional pen with the company name on it to an important custom memory drive to pop in their laptop to get quick information on their patients. When the patient was there last to client medical history. And if you walk into a doctor’s office and see his desk he is probably going to have these products lying around on his desk as well as other useful products to him and his employees. Like the personalized coffee mug and maybe a advertising stress reliever, they defiantly don’t want there nurses or co-workers feeling stressed! Right? 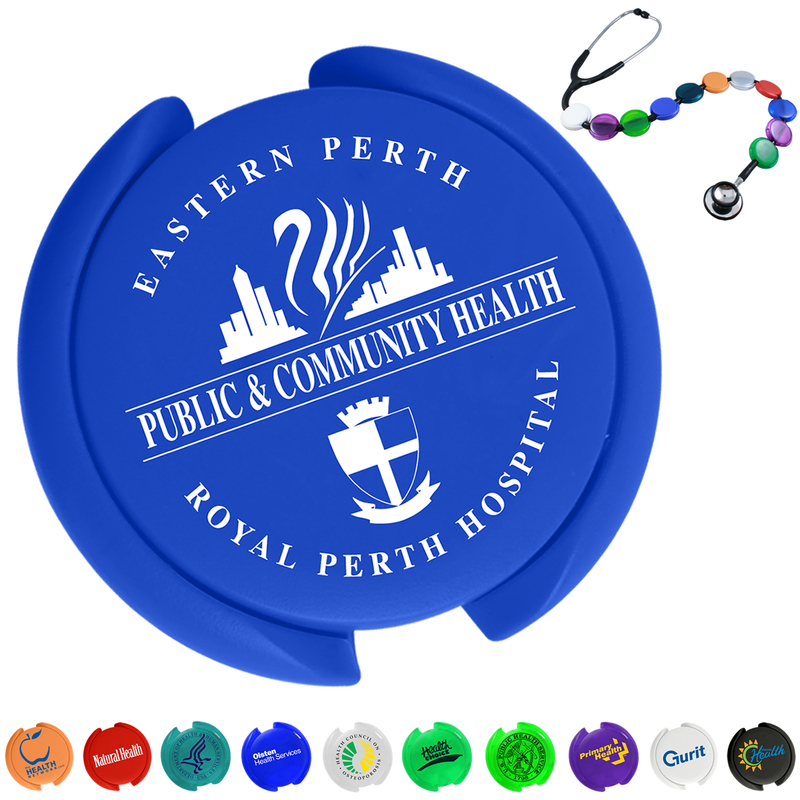 And we have doctor and nurse stress relievers here at The Executive to add your company name and logo too. When you’re there to see the doctor, he or the nurse may give you something to take home, such as a promo business card or pen so you’ll have the company information. Patients care are at the top of there to do list and they want you to feel welcome and well taken care of. By handing out health promos, other patients will see where the best doc around is located in town. Go to a doctor’s convention and you’ll probably see tons of different body part stress relievers for free giveaways. All kinds of different samples for doctors and nurses to try out for their company, such as the personalized stethoscope ID Tag these are great for advertising different healthcare options or to dress up your stethoscope. We have new custom stethoscopes for doctor’s this year! Next time your at the doctor’s office or hospital, check out all the advertising and marketing and the different ways they are promoting their practice. The main advertisement you might see right now at a doctor office or hospital is the Flu Virus, that mean bug is stirring around and they want you to be protected by promoting the flu shot, keeping your hands washed and sanitized. So get them promo hand sanitizer with the business logo from The Executive Advertising, hand these out for free and your patients will be grateful to you and you’ll start promoting to keep the flu away. Promo Glow in the Dark Glasses for All Your Party Ideas! Comments Off on Promo Glow in the Dark Glasses for All Your Party Ideas! Light Up The Night With Personalized Glow in the Dark Glasses: Well, I think parties & events will never be the same now! The New trend of promotional glow in the dark glasses are here at The Executive Advertising! These are just so Cool! You are going to want a pair for yourself and pass some out to all your guests. This will be the coolest party around when you have promotional glow in the dark eye wear. And even better if you’re trying to plan Halloween parties in October, our promo glow in the dark glasses are on our 24 Hour Rush service to get to you in a flash at a great low price already for your party planning. Let us know if you have any questions about this and we’ll be glad to help you! Talk about making a unique impression to everyone when you have these Free cool gifts with your 1 color free logo the night of the party to pass out! Great for all kinds of parties and events! Need ideas? Great for Halloween, College parties, Nightclubs and we’re even seeing these at bridal showers and wedding receptions. Make your party stand out with our advertising glow in the dark glasses. They have clear lenses, so they’re perfect for anyone’s eyes and they glow the popular neon green color. Customize your name and logo on the side with No set up fees for your brand! These will be the new fashion statement for the nighttime party goers, and I know most of you like to party! Right? With the non glow in the dark promo malibu sunglasses already being popular to wear on a daily basis in the sun, these are the next hottest thing now! Do you normally attend Halloween parties in October ? Throwing a College party with all your friends? Going to a New Year’s Eve Party at the end of the year? Want to have a different kind of wedding party? Then get the cool glow in the dark glasses and get your party on! You’ll have a blast wearing them and your friends will want some too! Need something now for advertising your business and catch the eye of all ages around then consider our custom glow in the dark glasses for your logo. Party goers will be checking out to see the name on the side of the glasses, to see where to get their pair. They are HOT now & in Stock! And there are some perfect holidays coming up for these unique glasses. Check out the colors for your events and we’ll help you customize your perfect eye wear for your upcoming parties. 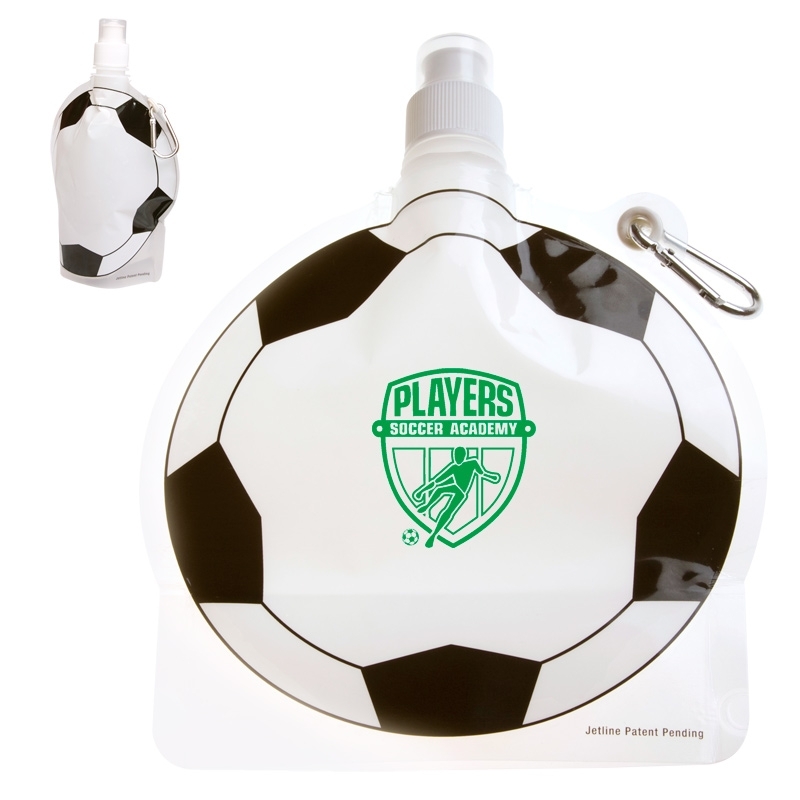 Sports Promos Give New Marketing Ideas To Your Logo: Sports advertising promos will be such a great idea now for advertising your company name among a wide variety of our promotional products. Do you need a theme idea for gifts and giveaways when holding special events? Maybe you’re a owner of a Bar or Restaurant and are looking for new ways to advertise during the busy sport season? What is something that everyone is talking about right now? Yes, probably football! The sports world in general has many different fall leagues that will be in session. And I think most of us truly love some kind of sport! Whether watching on TV or going to your child’s game of the week! Planning your company event or even a school fundraiser for the end of this year, it can be an unforgettable one when they receive giveaways in return of personalized sports theme products. Items such as our promotional basketball drawstring with the company or school logo will get them excited about regular basketball season shooting off very soon! For the hockey fans, we have the new custom puck bendy guy, talk about the coolest little guy with your school name to show team spirit! When it comes to sports related items, everybody wants something and when they get it free for just maybe helping out in a small way, you’ll have some happy sports fans! The school soccer team would probably love having promo soccer key chains or other soccer promos for the school soccer team and don’t forget those supporting soccer moms, they totally come and cheer on for their kids every week! When it’s sports that might be at the top of the to do list each week, give them sports related theme products anytime imprinted with a team, company or school name! You’ll win and gain the support in return every time! And check out the huge selection of our football promos you’ll love our ideas for homecoming games, pep rallies and advertising tailgating gifts. When you need new ideas for advertising your name this year, consider sports promos and you won’t go wrong! There is always some kind of sport going on year around that can help advertise your name in new marketing ways. Because let’s face it, part of everybody’s living style these days is some type of sports theme! Welcome Students With Personalized College Promos: Personalized College Promos will help everyone that has started back to school! A lot of students may be starting their first year in college and may discover that they don’t have everything needed or will run across something that they will need. Here at The Executive Advertising, we have fantastic college promos to add your logo to and get you through the whole year! We have awesome advertising promotional products to consider putting your college logo on! Why? Because college students love personalized college products! You can help supply most of these products for the students at the college campus book store. Just by simply getting your college promos here at The Executive Advertising. There are defiantly some products you don’t want to be without during the school year, here are some products you’ll need and consider to put your college logo on! Custom Mesh Laundry Bag no more piles of clothes in your dorm room. Having these imprinted mesh laundry bags will help you maintain your weekly laundry. Promotional USB Memory Drives provide them with the greatest way to keep up with extra saved documents. Keep documents and homework safe and secure with our promo USB drives. Add your 1 color free logo with no set up fees! Promotional Journal Books don’t forget this in your tote bag, some come with awesome colored sticky notes and pens. You’ll love having your college name or logo on a personalized journal book for note taking. This would make great student appreciation gifts to start the 2nd semester! Personalized Party Pal Speaker Stand now you don’t have to be without playing your music. It’s great getting to play your music freely on this speaker stand imprinted with your college name. Looking for college gifts? This would be great for the college goers out there! 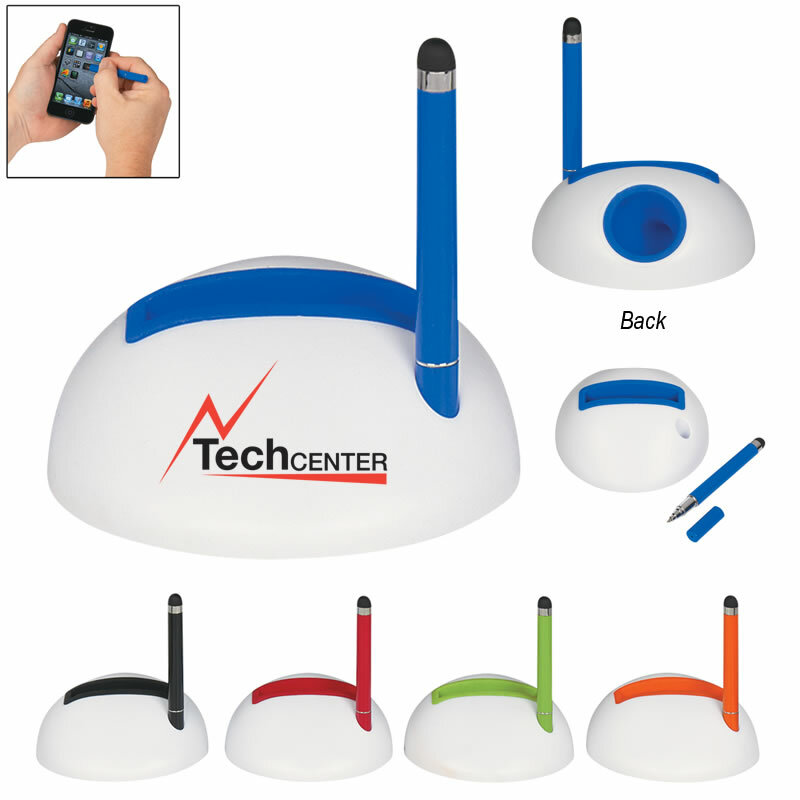 Comes in 6 colors and has a budget friendly price. So, welcome to college, make it fun and relaxing in your dorm room this year and make sure you have all the products you need, especially if it’s your first year! We have college students covered with great college promos. Check out our other products you might need for your college name this year. From our popular hooded sweatshirts to flannel pants, custom t-shirts, highlighters and much more. This is one of the greatest times of your life and we defiantly want to help you make it that way for sure. Promotional Mini Footballs For Your Brand: Football Time Is Here! Comments Off on Promotional Mini Footballs For Your Brand: Football Time Is Here! Best Advertising Handout Right Now For Your Business? 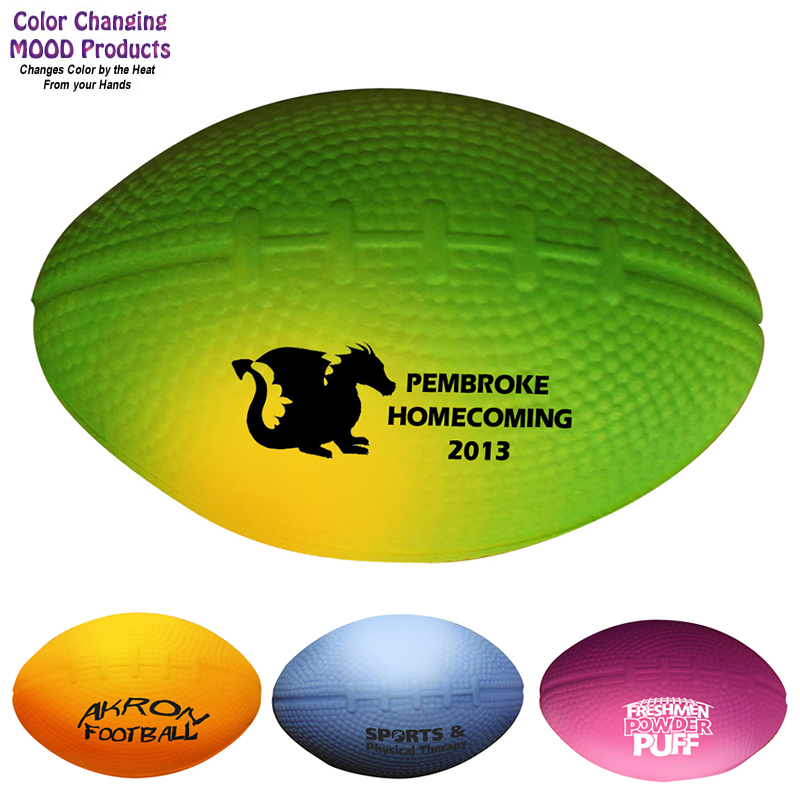 Promotional Footballs will make the perfect giveaway for your business logo. These mini footballs are fun and fantastic! Order mini footballs for under $2 each for football season and let the parties and advertising begin! From wearing team spirit promos to work to going to tailgating parties you’re going to need football promos from The Executive Advertising! And these marketing mini footballs are the perfect party starter for your logo. Personalized mini footballs would make the best handout at college tailgating parties going on every weekend! Just simply let us know your customized team logo or team mascot and we’ll imprint your color logo for Free with of course No Set Up Fees! These footballs could be the most talked about item of the season! You know what makes these mini footballs stand out from the rest? They’re mood changing! That’s Cool! Just by the heat of your hand the football’s color will change! These will be fun to toss out to the crowd as a Free advertising gift! You know tons of people will show up for the high school game, say on a Friday night and would love the freebie with the school name. Score some extra points and advertise just by giving these away to your clients also when they stop in at the office! You need other football advertising ideas? We have the best football advertising promos for your company, college or school name. We also have a fantastic Pinterest Board for football season to give you a lot of ideas for your brand this year. Follow us and check out our boards anytime! New Pins Daily! Here at The Executive we look forward to football season kicking off every year and we look forward to helping you get the very best special promos you need for your new clients, events, parties and just the perfect gift to your customers! Now get ready show team spirit and toss some mini footballs out with your name to everyone! One Of Your Favorite Promotional Items To Hand Out! Comments Off on One Of Your Favorite Promotional Items To Hand Out! The Perfect Marketing Idea: Post-its for your advertising brand! One of the best marketing tools and ideas can be found here at The Executive Advertising! Your brand and logo is at the top of our list! So if you need ideas for your new business or business now, want something at a great cost to pass out to clients? We got you covered by coming out with new & unique looking products all the time! We have NEW promotional post-it sticky notes for your brand! One of the most popular handouts around is the sticky note and even custom sticky note cubes. We are all note takers, especially at work and around the office. These make the world go around and your business name go around! With advertising promo sticky notes you can help each employee and client stay organized and keep up to date on things that need to get done on a daily basis. You have a new business? Or you’re looking for something low cost to get you started, to pass out and promote? Then order promotional sticky notes for your business. Leave a lasting memory and pass some out, every page will be a reminder to clients of your name and logo. We do seem to let things slip our minds from time to time, so write it down on your advertising sticky note as it happens and pass it along! And you can get your 1-Color Free logo added to our sticky notes with No Set Up Fees! You even might like our personalized shaped sticky notes they represent the kind of occupation that you’re in. For example: If you’re a doctor, we have blue promo t-shirt shaped doctor shirts for your important business note taking and appointment reminders. And other examples: like foot care, dental, real estate, banking, schools and more! I pretty much think every business around uses sticky notes. Need a nice gift idea for the holidays coming up? Consider our promotional sticky note holders with the company name. So send the right message to your clients and leave the impression of sticky notes behind as a free gift. The perfect match to the promotional pen is the promo sticky note. Give Promo Gifts To Your Employees For All Their Hard Work: Labor Day is September 2, 2013 this year, get ready to celebrate your employees hard work and your customers loyalty all year long with personalized gifts. Everyone enjoys getting that long weekend off of Labor Day weekend, it’ll mark the end of summer! It’s the last major holiday before the holidays come at the end of the year, so make it big and memorable! Invite everyone out and have a huge event to celebrate! Promotional outdoor products branded with your name from The Executive Advertising will get your celebrations started. Events around your town and even through your company are looking to celebrate with people on this meaningful holiday. Show loyalty and make people smile with awesome promotional giveaways as gifts on labor day. Enjoy the great outdoors before the fall season hits with a huge gathering and handout some of these great outdoor products. Some of these products are going to get used again at those large football tailgating parties kicking off very soon. Promotional Beach Ball fun outdoor giveaway with your company name and logo. Ideal for all fun summer outdoor activities. Custom Hand Fans a must have at all outdoor events. Stay cool and show patriotism for the labor day holiday with this free advertising handout to everyone that attends the event. 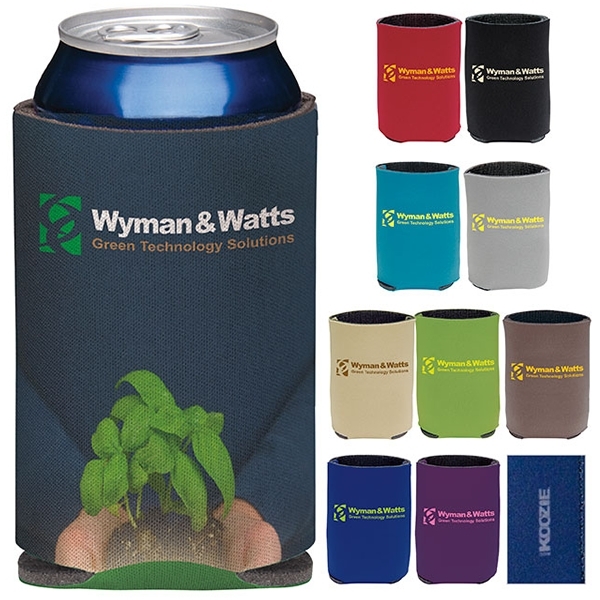 Promotional Can Coolers popular party product, folding insulated beverage sleeve keeps canned drinks cold. Collapses flat for easy storage. Great for the commute – just fold and stow when you finish your drink. Comes in a variety colors for your advertising logo. Pass some out at the labor day party with your company logo! Promotional Non Woven Tote perfect free giveaway with the company logo. Pack up your tote and head to the labor day celebrations. Roomy tote for your summer and everyday essentials. Great everyday tote with Velcro closure! These great labor day advertising ideas are all under $2/each for your company event on a budget. Choose from lots of color choices, imprint with your logo with no set up fees. Enjoy passing out these free promo products to your loyal employees and customers with your company name for a special celebration, for they are hard working people in the world. Personalized Camping And Sporting Gift Ideas: Get excited about summer and our promotional camping promos. You’re going to need to gear up and get ready with our products and plan your Summer events. Church Retreats, Scout Clubs and even Summer Camps all around will once again be hitting the road to camping out with their groups. The Executive Advertising’s Promotional Outdoor Products will be the best purchase for your company or camp retreat name this Summer. So you need the idea for advertising at your company and want your clients and maybe even your employees to get involved? Then truly consider promotional camping ideas for your event from The Executive Advertising. We have it all for the outdoor sporting event to imprint your name on, and well, their going to need all these products, like coolers, folding chairs, blankets, cooling fans, custom water canteens and much more! They’ll get into the action when these products are handed out. I think you might have just gave them the fun idea to go camping, even if they don’t have it planned. 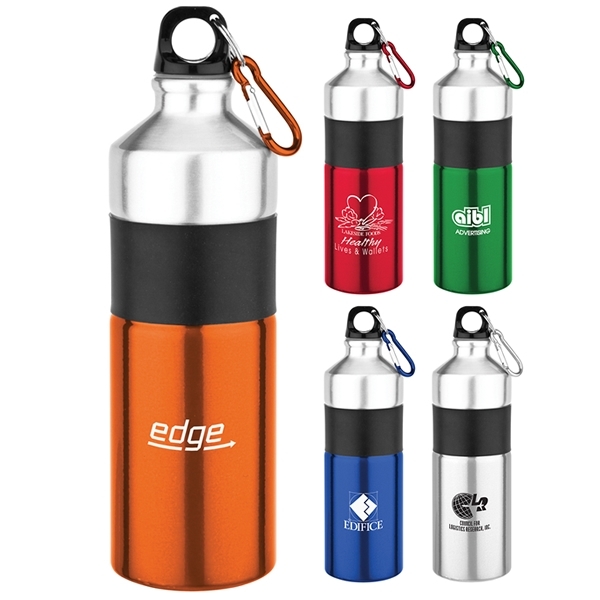 Our advertising products will get used all the time, one of the most important things is to be hydrated while on your adventure, so get them keepsake drinkware for them to carry with them at all times while hitting the nature trails.Try custom aluminum drinkware, they have screw-off lid compartments for easy cleaning and filling. Large main opening for adding ice cubes, matching carabiners to clip to their bag, stainless lid caps, stainless steel construction and BPA free. These will be perfect for refilling your water and keeping it fresher. You’re going to love showing off your camp name and logo on these cool summer canteens. These camping and sporting canteens truly have the camping feel about them with the aluminum canteen look. It’ll be the perfect gift to get the camping trip started. You could even hand these out to everyone after the camping trip to take home, add a nice unique message about how fun everyone had and mark another great year together on your camping experience. Our promotional products will be perfect for your outdoor adventure and outdoor advertising this summer. National Pet Day Is April 11th!